The exciting Ramayana trip begins with your arrival in Colombo, where you will be escorted to further proceed to Negombo. After reaching, you check- in at the hotel and leave for a short Negombo trip. In the evening you return back to the hotel for an overnight stay. The second day is exciting and the sites that are to be visited are in association to Lord Rama’s Mythology. Right after breakfast, you leave for Muneshwaram and Manawari, it is believed that Lord Rama rested in the area on his way back to Ayodhya after defeating king Ravana. He was also trying to get rid of the enemies, Ravana’s men who were the Bhramins. You continue your trip towards Kady, on the way, visit the Pinnawala Elephant orphanage that shelters about 70 orphaned elephants. You also visit the Herbal Garden and the Dalada Maligai, the most sacred place for Buddhists for the relic of Lord Buddha is there. The activity of the day ends with a fantastic dance performance at a cultural show. Later you retire for the night at the hotel. In the morning, after breakfast, you head out to visit the botanical gardens at Peradeniya. The garden consists of multiple variety of plants and flowers, one of the main features of the place is the Orchid House. You further continue towards Nuwara Eliya, on the way you visit the Sri Baktha Hanuman Temple. The large stretches of tea plantations are the main mark of the area, you also visit the tea factory to observe the manufacturing process. In the afternoon you go out for a short sightseeing trip in Nuwara Eliya, very interestingly, you can find a pretty British influenced town. The homes consist of well kept lawns, an Angilican Church and golf course with beautiful parks. The refreshing air and the cool climate of the place leaves you nostalgic. After this refreshing exploration, you return back to the hotel and stay overnight. After breakfast, you visit the Seetha Amman Temple and Ashoka Vathika; it is believed that the Seetha Amman, stream that flows was a great help to Sita during her stay at the Ashok Vatika. You can even go to the Huggala Botanical Garden. Divurumpola, is a spot where Seetha Devi undertook the task of Agni Pariksha (fire test) and now the locals come and offer their prayers here. On the way back, you visit the Sri - Lankatheeswarar Temple made by Gayathri Siddhar in 1974. In the evening, you return back to your hotel for an overnight stay. 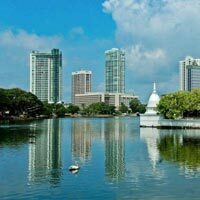 You proceed to Colombo right after breakfast. You visit the Anjaneyar Temple in Sri Lanka, Panchamuga (five faced) which has the chariot of Ajanyear. Then there is Kelaniya Temple, which is believed to be that after Ravana’s death, Vibeeshana was made the King of Lanka and the coronation was held on this spot. The main course of the Ramayan took place in the Ramayana, and to put faces to the voice of Valmiki’s epic is a different experience altogether. 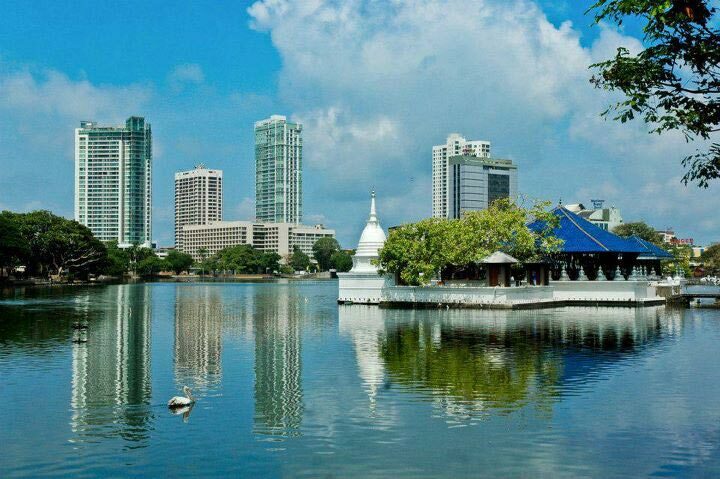 Colombo is like many other capitals, it is ever ready to grow and develop, but at the same time, it houses a great number of ancient artifacts and historical significant. After visiting some attractions, you return back to the hotel and stay overnight. Your mythological trip comes to an end with your returning to the airport for further journey.